These Geekbench 4 tests are probably being run by people at Apple because the devices still identify themselves by their code name. Still, some educated guesses can be made. A device calling itself the iPhone11.2 is almost certainly the iPhone XS. So far, it’s been benchmarked twice. One multi-core score is 11385 and the other is 11167. Its two single-core scores are 4576 and 4763. Such variation is normal, as benchmarking isn’t an exact science. This model is the direct replacement for last year’s iPhone X so, for comparison, Apple’s former flagship has an average multi-core score of 10116 and a single core score of 4208. That makes the new model 10 percent to 15 percent faster for both. Geekbench 4 reports that the iPhone XS’s hexagon-core processor runs at 2.37 GHz. The largest of the 2018 iPhones apparently has the code name Phone11,6. It has also been run through Geekbench twice, resulting in 10842 and 10266 multi-core scores and 4813 and 4790 single-core scores. These are marginally lower than the iPhone XS’s scores, although this device has a faster 2.49 GHz hexa-core processor. It could be because this test device is running iOS 12.1, which isn’t expected to launch until later this fall, while the XS runs iOS 12, which is already available. At $250 less than the other 2018 models, the iPhone XR isn’t as powerful. It’s multi-core benchmark score is 9367, and its single-core score is 4754. That gives it a lower multi-core score than last year’s iPhone X, but a higher single-core one. Unfortunately, the Geekbench results didn’t include the speed of the iPhone XR’s hexagon-core processor, which sometimes happens. Some specifications of Apple devices never get formally announced. Most notably, the amount of RAM in each new iPhone isn’t revealed until the devices get benchmarked. According to Geekbench 4, the iPhone XS and the XS Max both have 4 GB of RAM. 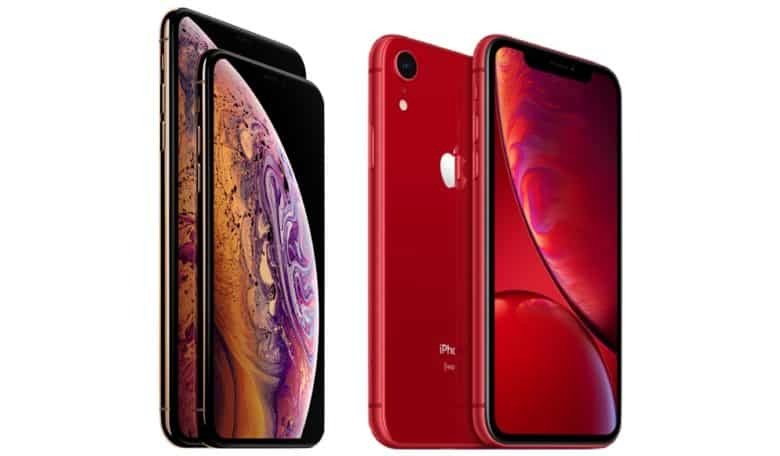 The iPhone XR has 3 GB, the same as the iPhone X.